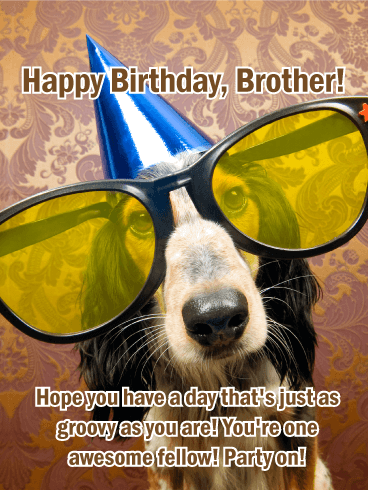 HAPPY Birthday - To My Awesome Brother! 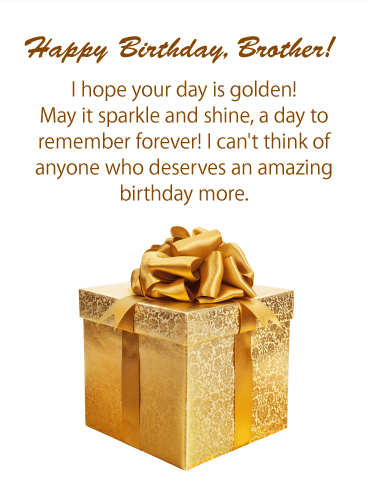 Thinking of you on this very special day and hoping your birthday is filled with good friends, joy, and fun. Enjoy every minute of it! 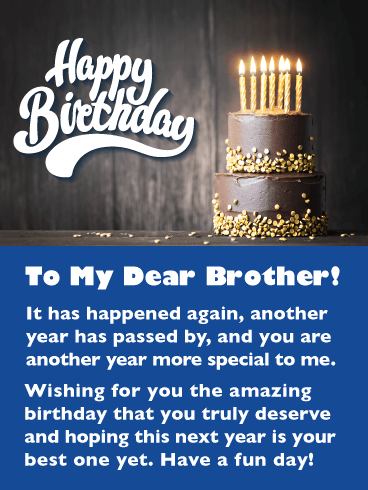 You are blessed to have him as your brother. And his birthday is the best time to let him know! 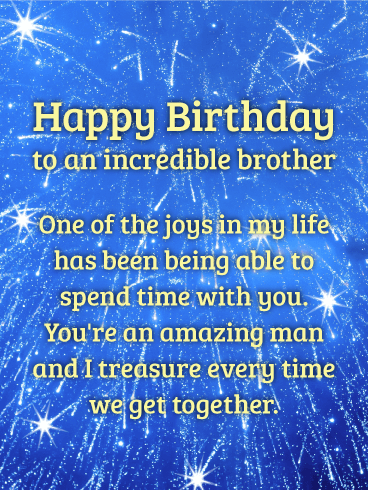 This heartfelt card features a background of lights and presents, setting the scene for an unforgettable celebration, while your words add a very special sentiment: that having him for a brother is the very best gift you've ever received. Even if you can't be there with him this year, it's a wonderful way for you to let him know you’re wishing him well from miles away. Your brother is an amazing person. Living life on the edge, making the hard look effortless. He's an admirable man and deserves time off to relax on his birthday! 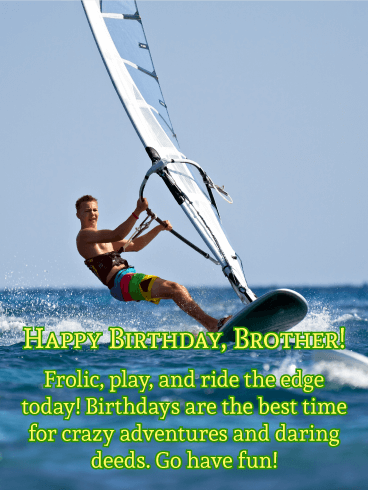 Wish your brother a bit of fun on his special day, a touch of adrenaline to start his heart. Birthdays are meant to be wild; ensure this one is memorable too. Your brother is probably the person you roll your eyes at the most. But he's also the person who encourages you and helps you tackle new challenges. And that's exactly what this year is - a new challenge. 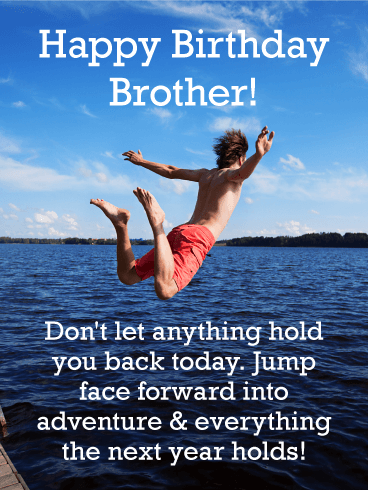 Wish your brother luck and push him towards all the incredible things the world has to offer - a great life and adventure quests. His birthday today is the beginning of an incredible year. You have always admired your brother for his fearless nature. Maybe envied it just a bit. But when you watch him jump into the air, arms wide and face smiling, you feel like you're flying with him. Siblings share everything, including adventures and you love witnessing his. 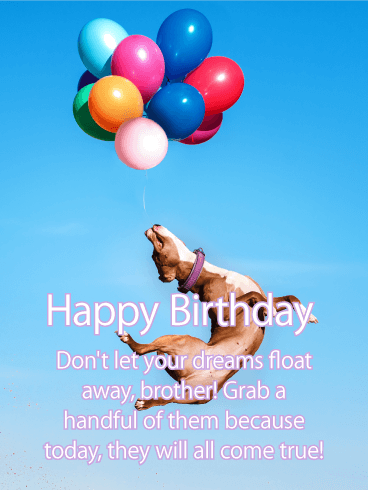 Make sure that on his birthday, your brother leaps into the air and flies. His success is yours, and your love for him will help him go far. 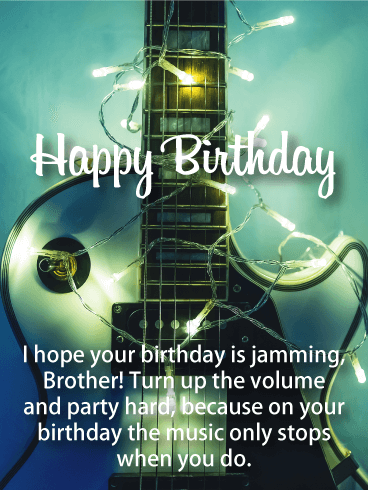 Turn your brother into a rock star for his birthday! He's always been a headbanger, but today is when he's in control of the music. From the notes, to the venue, to the volume, it's his show! 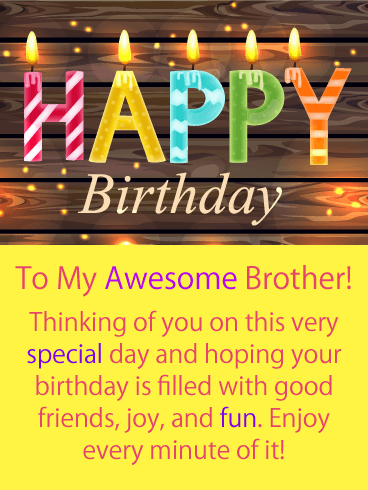 Wish your brother the best and let him know that you're at his side until the wee hours of the morning. He might be the rock star people come to see, but you're the stage crew making sure everything goes smoothly. Let him know that today, and every day, he has you. 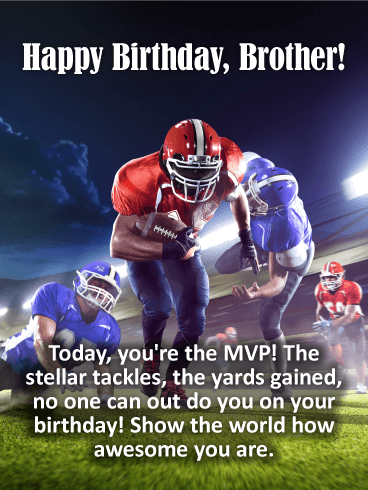 Give your brother a taste of stardom for his birthday! 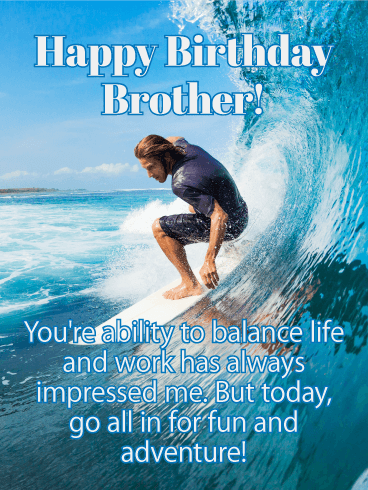 Your brother has always had the skills and moves to shine, even if he downplays them. 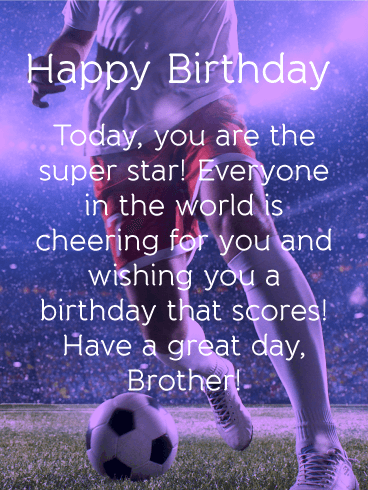 This birthday, highlight your brother's talent and let him know that you and everyone he knows are cheering for him. It's his birthday - gift him the courage to take a shot at every opportunity that comes his way! The older we get, the less chance we have to spend with family. It takes a lot of schedule juggling to get together. But it is always worth the hassle. Family is important, especially the brother who ran at your side during the summer and sat with you on the couch on winter nights. Your time together was, and is, precious. 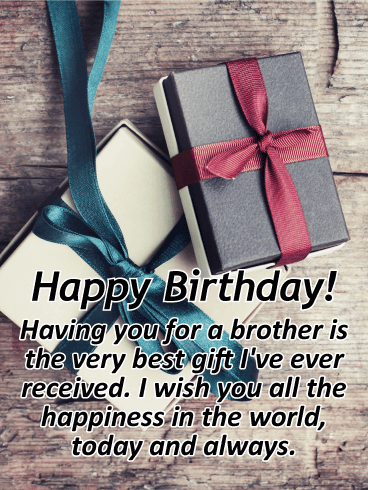 Because of that, wish your brother a magical birthday and let him know just how special he is to you.